GA! : How did you get started in Yoga? Rachael: Well, I personally am not a huge fan of exercise in general- my body does not approve of running, biking and things like that. In fact, in my early twenties before yoga, even walking caused pain in my hip. A friend invited me to my first yoga class, and I figured I would give it a shot. I was instantly hooked. I felt like I had gotten a great “workout,” but I also just felt so calm, and revitalized. GA! : Yoga seems real popular right now. Did it change, or are people becoming more aware? Rachael: I think that people are becoming more aware, but along with that awareness is the development of new styles of yoga and even hybrid classes, like yo-pi (yoga/pilates) for example. One of my favorite things about yoga is that it is such a personal practice that it can be tailored to meet anyone’s needs. In this country, we tend to focus more on the “asana” or physical postures, which is only one of the 8 “limbs” of yoga. The other 7 “limbs” are: moral restraints (yamas), observances (niyamas), mindful breathing (pranayama), concentration (dharana), meditation (dhyana), and spirituality (samadhi). In my experience, the asana practice is what draws most people to yoga, and the rest falls into place as they grow in their practice. GA! : What are the benefits of Yoga? Rachael: Too many to list! Physically it can help with strength, flexibility, balance, and improving circulation and lung function among other things. Yoga is also a great complimentary therapy for healing many types of dis-ease. Depending on the style of yoga someone practices, it can be helpful for some cases of sciatica, scoliosis and other back issues, headaches, carpal tunnel, arthritis, rehabilitation after injury or surgery… even conditions such asPTSD, dealing with the emotional and the physical symptoms. The list goes on and on. Some people use it as their primary form of exercise, and it can certainly be helpful in weight loss. GA! : Is Yoga good exercise? Rachael: Certain types of yoga are great exercise. Again, there are so many styles and it depends on the person. The majority of classes in this area are largely based on the physical fitness aspect of the practice. One thing that most people don’t realize is that a gentle yoga class can be just as good for exercise as a power yoga class. Often times, the more slowly and mindfully you move through the postures and connect your mind, body, and breath, the more you will benefit physically and mentally. Some people are not made for intense physical exercise. Some will never lose weight, if that is their goal, doing intense physical exercise. Gentle yoga, for example, may be the perfect “exercise” for them because of the focus, the intention, and mainly the stress relief. 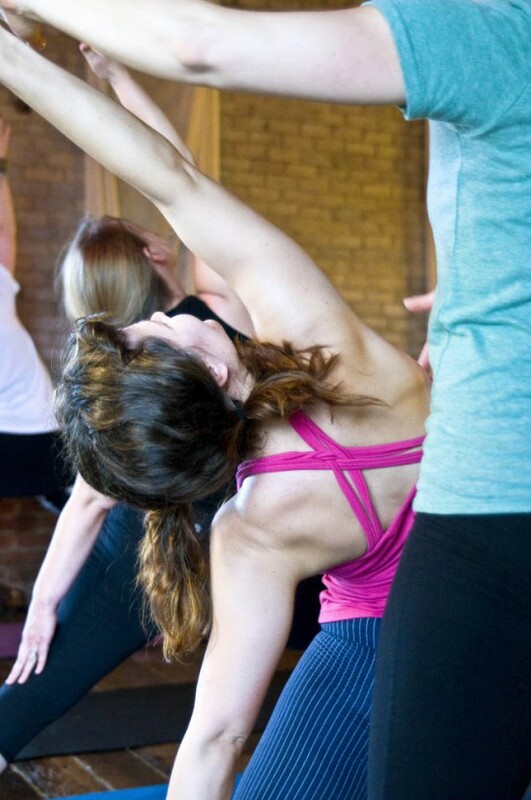 However for those that need more intense physical exercise, vinyasa (flow), or power yoga may be their best friend. GA! : There seems to be spiritual side to Yoga, can you comment on that? Rachael: Yoga can be a very spiritual practice, although it is not necessarily tied to any specific religion. Spirituality means different things to different people- some people do connect it with religion, some connect it with mother nature or the universe, or perhaps a higher consciousness. The point is, just like with the physical practice, it is so personalized and everyone can adapt it to whatever their inner truth may be. Yoga teachers often ask students to set an intention for their practice at the beginning of class- this can be whatever the student needs or wants it to be. Some students choose for it to be strictly physical, with no spirituality involved. Either way, you’re always going to learn something about yourself. GA! : What if I am a beginner at Yoga? Rachael: So many things I would love to say to beginners. One really important thing I must say is to have compassion for yourself in your practice. It’s not about what your pose looks like. Every person is different. Every pose fits everyone in a different way. It’s not about whether or not you can “make it through” the whole class the first few (hundred!) times. Always take rest when you need it! That’s why it is called a yoga “practice.” Sure, it’s great to challenge yourself, but it is never about “nailing it.” It’s about learning about yourself, and giving your body and mind what YOU need. Finding balance. You are not going to love every class, every teacher, or every style. You have to find what is going to work for YOU. When beginners ask me which class would be best for them, I tell them they can come to any class at On Track Yoga because it’s a “do-what-you-can” kind of practice. You do what you can do, learn from it, and leave what doesn’t serve you. GA! 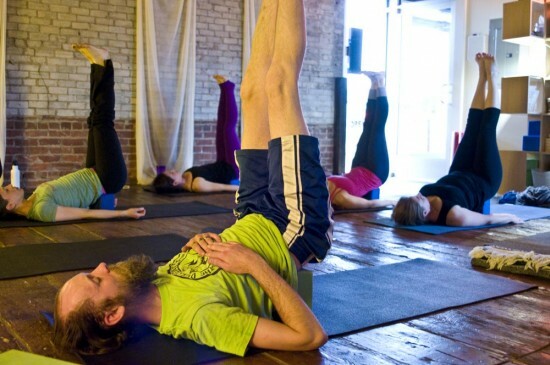 : There are several opportunities to explore Yoga in Gaston County. Tell us about your studio, On Track Yoga. 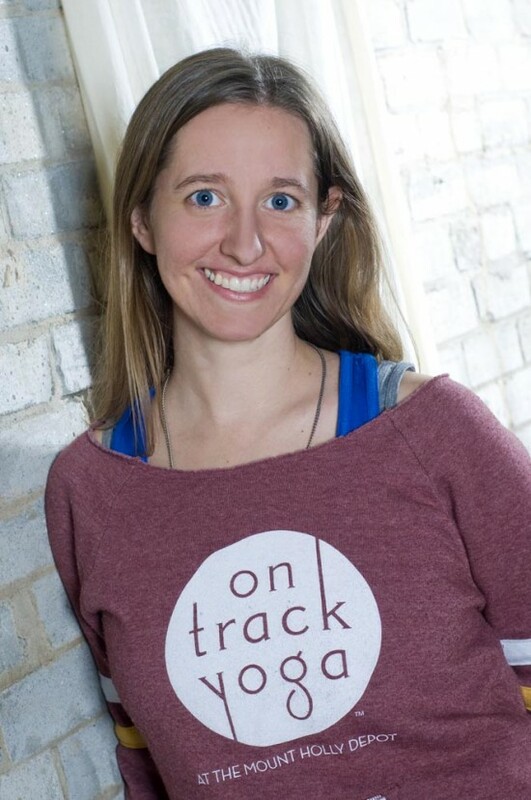 Rachael: On Track Yoga is a small, intimate space, where students of all levels, all ages, body types and personalities can find a class that meets their needs. Our classes are fairly small, and students can receive some extra attention if desired due to the size of the classes. I think one thing that sets us apart from other studios is the intention of healing and increased mindfulness with which the studio as a whole approaches the practice. The majority of our students are, or were beginners when they came to us. It is our intention to teach them yoga, not just as a form of exercise, but as a lifestyle. “Yoga” means “union; to yolk; to join.” Not only do we practice to connect body/mind/spirit to find balance within ourselves, but we seek to come together as a community to support each other on our journey.